CNBC International is the leading global broadcaster of live business and financial news and information, reporting directly from the world’s major financial markets via three regional TV networks in APAC, EMEA and the US. CNBC.com is the preeminent financial news source on the web featuring video, real-time market analysis and dynamic financial tools. CNBC also has a portfolio of other digital products including CNBC PRO, the premium, integrated desktop/mobile service that provides real-time global market data and live access to CNBC global programming; and a suite of CNBC Mobile products including the CNBC Real-Time iPhone and iPad Apps. CNBC serves the world’s most powerful audience of CEOs, senior executives, the financial services industry and private investors and is available in more than 381 million homes worldwide. With almost three decades of experience curating the global business conversation, the network remains the number one choice of the world’s most powerful business leaders and investors. 2016 saw the launch of CNBC Catalyst, the in-house advertising agency of CNBC International, created to be the secret door for brands to access the C-Suite. 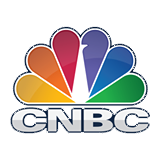 CNBC International has also created several series, produced by the Content Studio division of CNBC Catalyst, offering companies exclusive sponsorship opportunities on shows including Innovation Cities, The Business Class and CNBC Meets. CATALYST- CNBC Catalyst is the in-house agency of CNBC International, created to be the secret door to the C-Suite. By knowing exactly what makes the CNBC audience tick, it provides clients with an array of opportunities.